WE live in the environment we choose, but not all the occupants fit the dream. Romford is a particularly nice place to live, but there are those who seem determined to drag it down to their own levels. Dumping rubbish, anti social behaviour and general vandalism top the list as parts of the town suffer from this wanton lack of standards generally well below those accepted as normal by the rest. 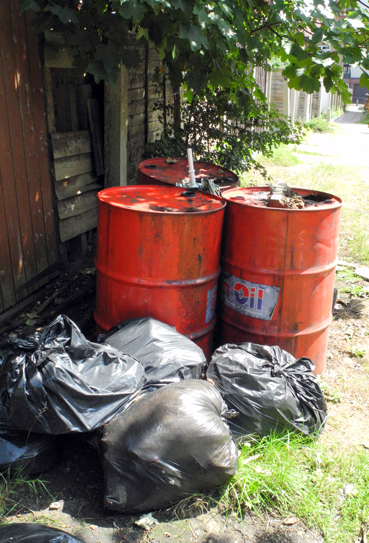 Havering Council is often criticised, particularly when it comes to cleaning it up as if they caused the problem in the first place. However, in the first week of my actually getting outside the house, a short walk brought the headline for this article. 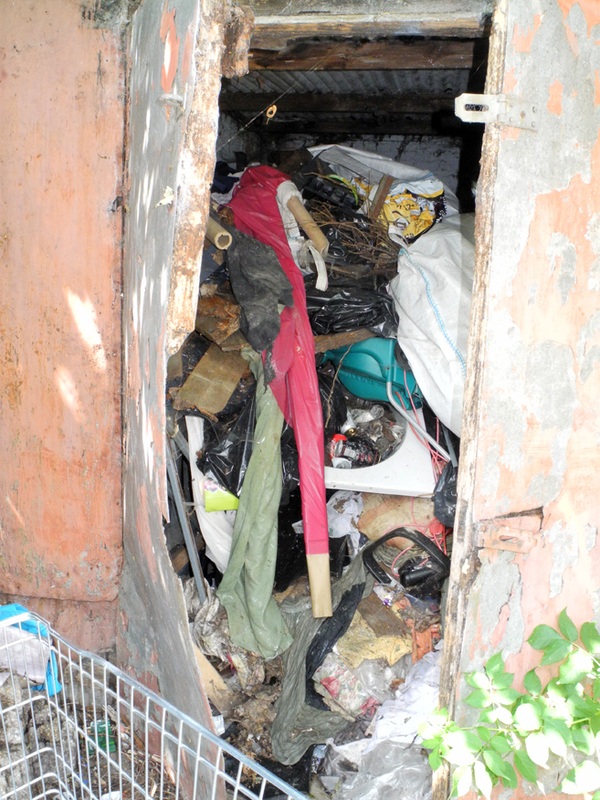 It entailed a visit to the local rubbish dump, a conscientious street cleaner and finding a dire hazard close to houses. The Bad and Downright Dangerous revealed a blot that should not exist in the centre of town. 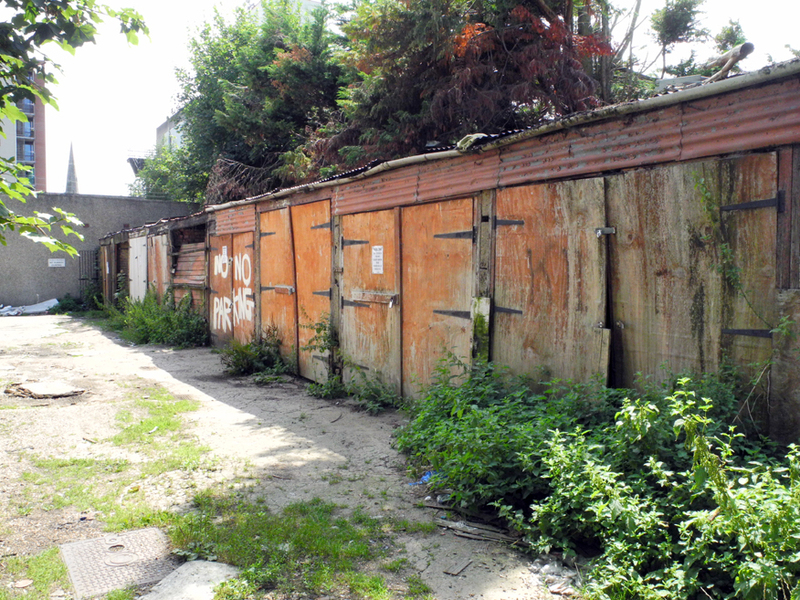 Right in the middle of an enclosed series of roads off North Street in Romford, revealed an eyesore and potentially dangerous and rotting row of dilapidated garages backing onto houses. 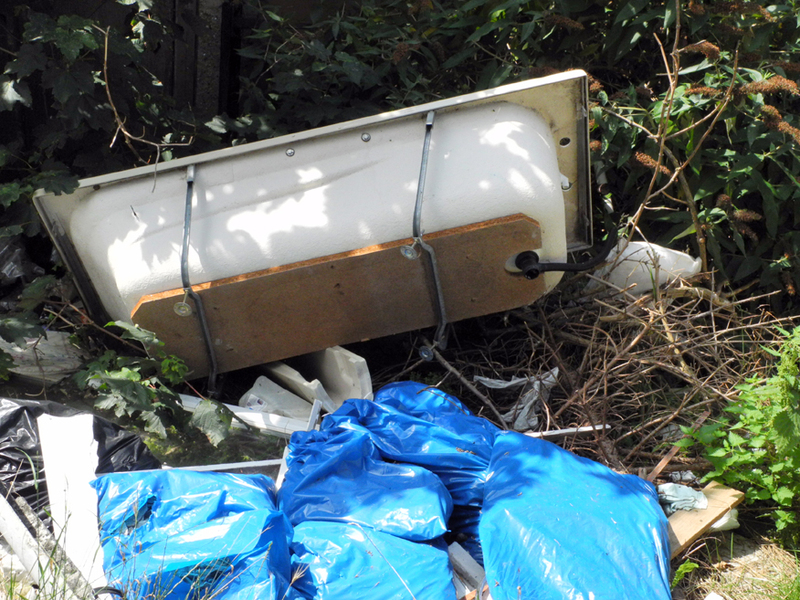 The area has been infested by fly–tippers and with little or no regard for others. The pictures tell the story and beg the question why have these garages been left to rot and degenerate into such a dangerous hazard? I wonder if it is a case of out of sight, out of mind and conveniently forgotten, or ‘not our problem’ private land, but either way, this is something that needs clearing up immediately before it goes up. You can imagine the blame game if it did. The above highlights the standards of the dumpers, particularly when you consider the public site in Gerpins Lane, now a state of the art facility. Even I stood back in amazement when taking some dead electrical waste for recycling. My memory goes back to the pre-recycling days when the tip was just that, a big hole in the ground. Now it must rate as the best success story in the borough. Recycling is big business and it seems there is now a need to expand. The hole has been turned into a dusty Supermarket layout with clearly marked areas to put items. Talk about stand back in amazement. It is a model of good organisation that has been so successful, they apparently need more space to deal with the volumes of rubbish more efficiently and consequently get more money for the corporate purse. The area retains the hanging pong of many years, and quite a lot of the contents are still shared with the surrounding countryside on a windy day, but what a major improvement of the past. The other little story that impressed me was a cheerful street cleaner who cleans my side of Romford centre. Conscientious to the point of looking as if he enjoys his work, he is the new generation that seems to have grown in the Council workforce. 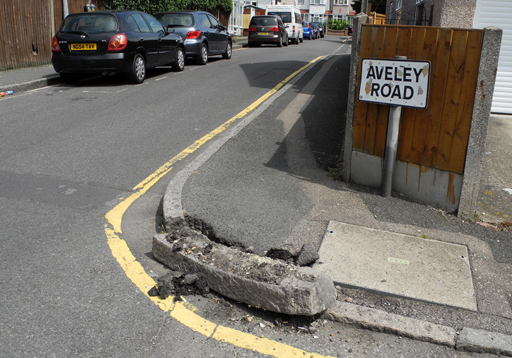 Not only do we get clean roads, but a team of ‘operatives’ encouraged to report dumping and any road damage on their patch. Since we lost our working councillors after a political night of the long knives, getting things done in the heady circles of the Town Hall has been a long and protracted experience, so finding a group who have taken on the role of getting things done is excellent. 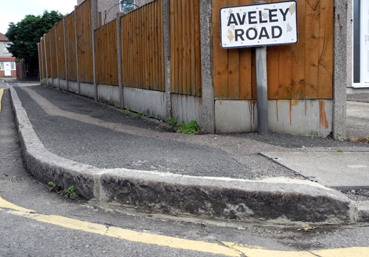 The example was a very large lump of kerb stone had been dislodged at a cross junction. Quite a Granny hazard and one that could do considerable damage to the elderly and any driver watching out for pedestrians. It took a few days after putting in a report, along came a team and repaired the damage. Some would say it should be done anyway, but I do not recall such a speedy conclusion to similar problems before. It never hurts to say thank you and show appreciation for a job well done. Absolutely agree with you about the street cleaners Barry. I have watched the cleaners in Hornchurch for many years taking pride in their jobs. They may feel it’s a thankless task, but I for one think they do a brilliant job and try to help by ensuring I put my rubbish in the bins provided. I think the council have made useful changes in the shopping zone and made it very inviting for visitors. The least we can do is try and keep it clean.